Get the party rockin’ with a Gibson Pilsner Gift Set. 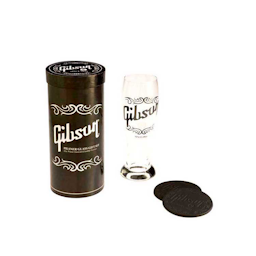 Every rocker can live it up in style with his/her favorite beverage served in their own personal Gibson glass! Each set comes with a 22 oz. hand-blown and etched Gibson branded pilsner glass and two matching embossed leather coasters.